Orange and Black is a definite fashion statement. 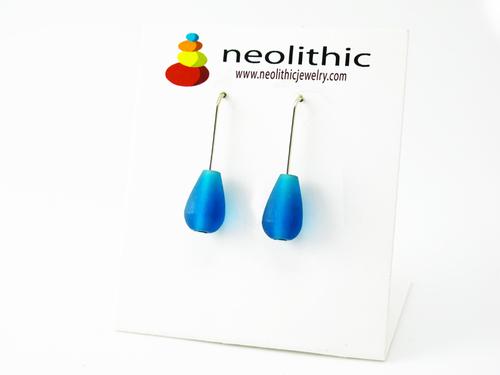 You will certainly be noticed wearing these bold pebble resin earrings. Orange is a very easy color to pull off. It is a really flattering color for most skin tones and instantly adds glow and vitality to your skin. There is a lot of style power behind this color! You can also pair it with yellow or white but I find that black gives the orange even more power and drama. You could pair this with a simple little black dress and some orange heels or flats. Keep it in moderation and you cannot go wrong. Wearing one big bold piece of jewelry as a focal point to your outfit is a great way to look stylish. 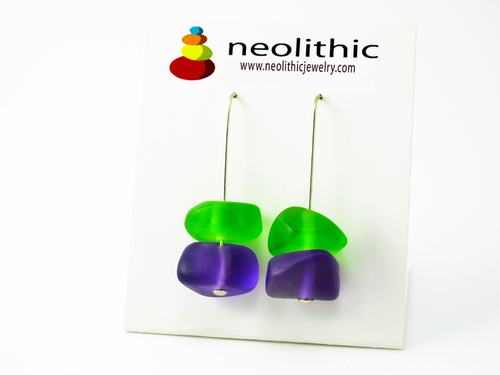 These big and bold resin earrings can be worn to the office, a shopping trip or an evening out. They are incredibly versatile and a great addition to your collection. 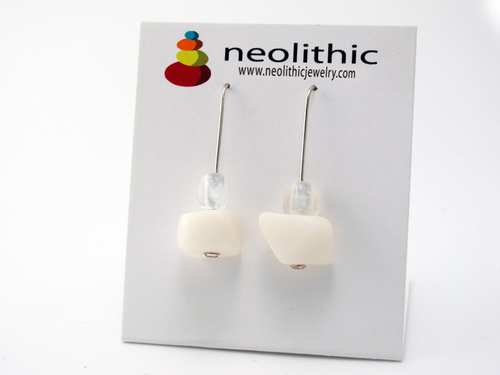 Each pair of resin earrings is meticulously sanded to make them super smooth. Like all Neolithic Jewelry, they are very lightweight and comfortable to wear.